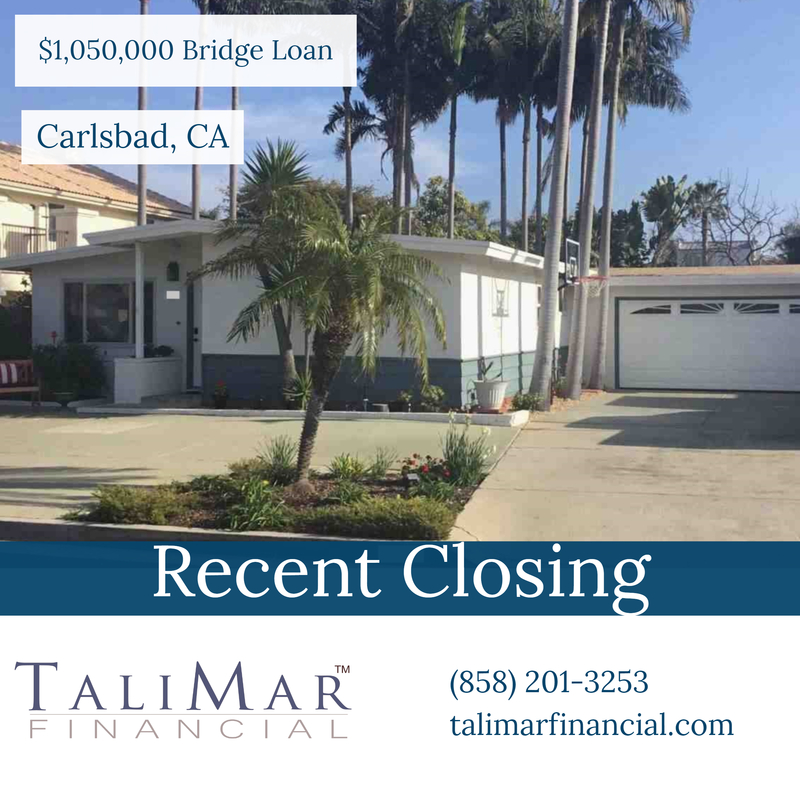 San Diego, CA – TaliMar Financial is excited to announce its recent funding of a $1,050,000 bridge loan secured in 1st position on a single family home located in Carlsbad. TaliMar Financial provided the Borrower with a bridge loan that funded a portion of the acquisition. The Borrower intends to hold the property as an Airbnb rental. Once the Borrower can demonstrate cash flow, the Borrower will seek conventional financing.